Fasten paper without using staples. 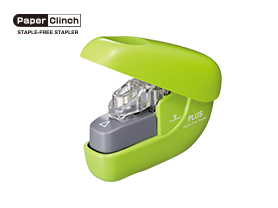 PLUS Staple Free Stapler is ecological, economical and extremely safe. Without the use of staples, recycling is made easy. 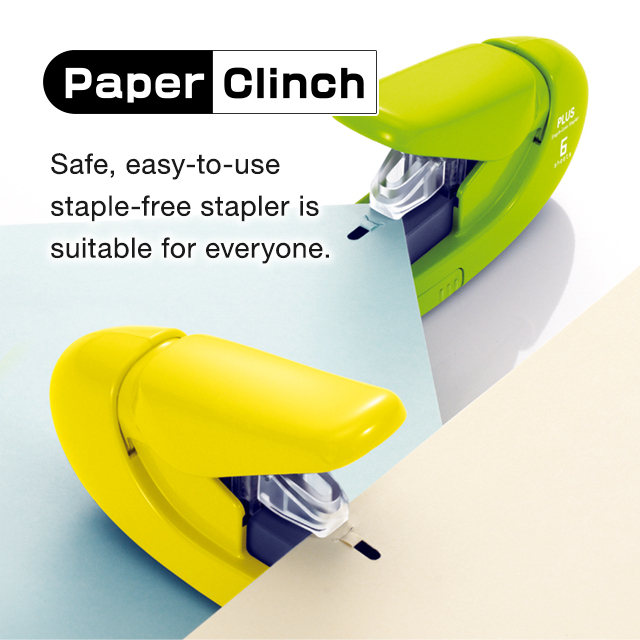 You never have to worry about running out of staples again! It is perfect for home; office; work; on the go. 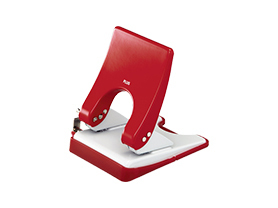 Works great in kitchens; hospitals and other environments where you wish not to use staples. 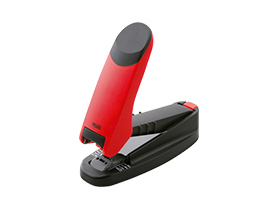 Heavy duty, power assist flat clinch staplers. 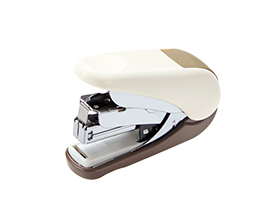 Palm size, power assist flat clinch staplers. Ergonomic handle eases punching tasks.